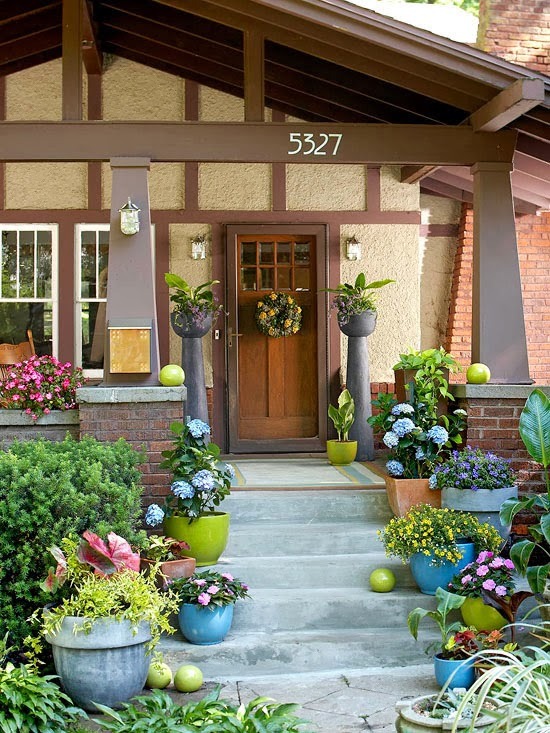 Looking for a perfect way to brighten up your entrance? Then this cool design idea might be the one for you! I think this is so simple and fun to do as there is a mix and match of colors involved. The colors of the containers are coordinated in a way that it could give a unifying effect. What more? This cool design need not be an elaborate job. Buying few pieces of containers that could be match with what you already have at home can do the trick. We can never underestimate the beautifying effect of plants and flowers in your homes. In my case, it has been proven a number of times. Guess what? I am planning to collect pretty containers that I could bought cheap on a local home shop. I would just keep on buying few pieces every month until I have gathered as much as I need then I would make a sketch of how am I going to put these on display. I think I still need to grow some plant varieties that I already have in my garden. This will be a lot cheaper than buying new ones.